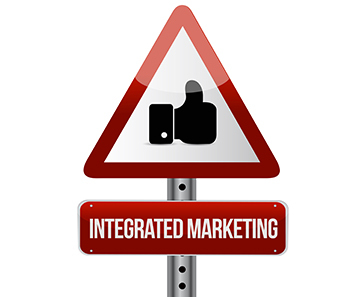 What is integrated marketing — and why should you care? Live the promise — make everything about your music studio fun, shining a happy spotlight on your awesome personality and your studio setting, which is bathed in bright colors and inside of which silly prizes are doled out for lesson achievements. Advertise to the target – create a quirky, colorful flyer to hang at local schools showing one of your happy students with a quote from them about how fun-fun-FUN! it is to take your lessons. Speak to the decision maker – create banner ads targeted at parents with a parent’s quote about how much their kid enjoys music lessons. Create a publicity event – develop a concert event benefiting a charity open to the public. Feature your music students performing, and have them dress up as their favorite famous musician. Silly prizes would be optional but recommended. Think like your potential customers, and consider their first point of contact with you. If it’s a website, does that website reflect who you are and what your business is all about? If they call your business number, does the person answering or the greeting they receive reflect your company brand? When you send a follow up email – whether to answer a question or provide quote — does that email support and reinforce your brand? Are your online advertising efforts in alignment with your brand strategy? Do your banner ads look and sound the same as your website and other materials? You want the consumer to recognize you and your brand every time they come in contact with your communications. Don’t underestimate the importance of social media management. Every post should reflect what you are about and support your brand promise. Marketing provides countless opportunities to affect your customers and potential customers — a lot of ways to touch them (in a totally non-creepy way, we should add). Make sure you are maximizing each of these opportunities. Make sure that every time you communicate, you are doing so in a consistent, branded, strategic way. Minus the gobbledygook. Unless that’s part of your brand promise. In which case, pile it on.